1. Try and keep toilet ones separate. This is more on the business side, but toilet areas by their nature will tend to have more germs, and so the rule of thumb is to have a separate mop and bucket all together for these areas, as opposed to other non-toilet ones like kitchens and hallways. 2. 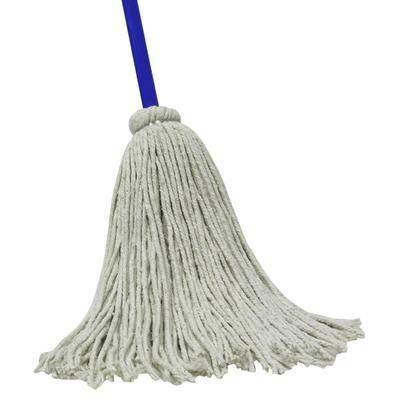 Look at different material mop heads, particular micro fibre. This material is great in that it is less bulky than the traditional stingy mop heads, and are machine-washabale so that you can easily literally wash the mop heads themselves and use time and time again. 3. Consider different shapes and angles. So ones that can get in smaller corners, or larger flatter ones that can easily cover a wide area. 4. Don’t forget the bit on the bucket to squeeze the mop head. A classic mistake is to just grab a bucket without this, meaning there is no way to squeeze the excess water out of the mop head. 5. Don’t forget a handle on the bucket. This means it can easily and safely be carried around, as remember that with hot water in it can be dangerous if you do spill it. 6. Use hot water. Infact the hotter the better, even if you need to pour it from a hot kettle if you have no hot water supply; this helps really kill those nasty germs. 7. Add some detergent. This will help get those germs clear-up even better, and make it smell a whole lot better. Remember that you don’t need to get too carried away with the amount though, and watch out for the helpful gauges of how much to add, for example just a cup-full. 8. Ideally wear gloves. This helps with hygiene and say detergent causing any skin irritation. 9. Remember to warn people of the area you mop so they don’t slip. So do at a time when no one is there, or place a sign up, including the flip-signs that go up on the floor itself. 10. Go for quality not quantity of mopping. So don’t place endless water on the floor, as often just a damper mop rinsed more regularly will have a greater effect and more easily dry afterwards. Also get in all the corners and nooks and crannies, and try to work backwards so you don’t tread over areas just mopped.